A fellow pulls a sick day from work to attend a one-day international. There he begins to think. His mind unravels and his way of life disintegrates. 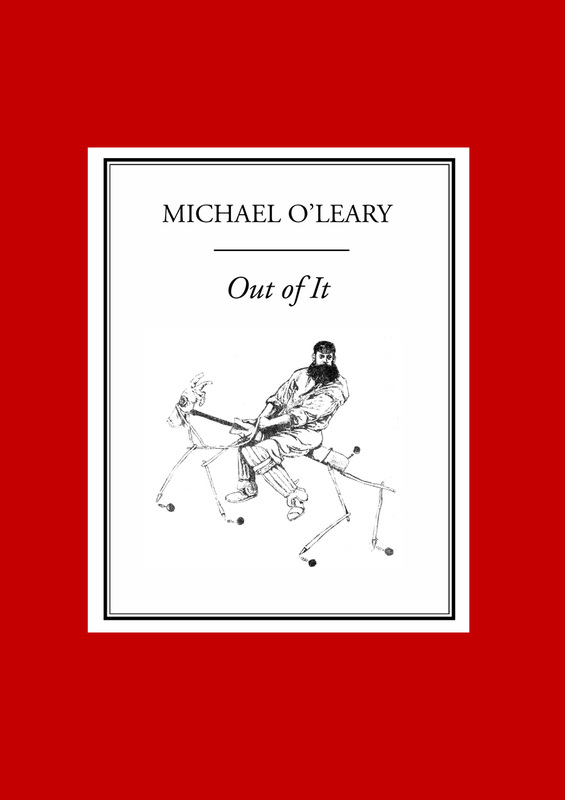 This is the premise of Michael O'Leary's novella Out of It It's Auckland in 1987 and the New Zealand XI is lustrous: Richard Hadlee, the brothers Crowe, Ewen Chatfield, Lance Cairns and Jeremy Coney. The home side wins the toss and elects to bowl. From one end of Eden Park, Hadlee scythes wickets, and Chatfield ties up maidens at the other. This may sound readily imaginable. Proceedings are soon warped. 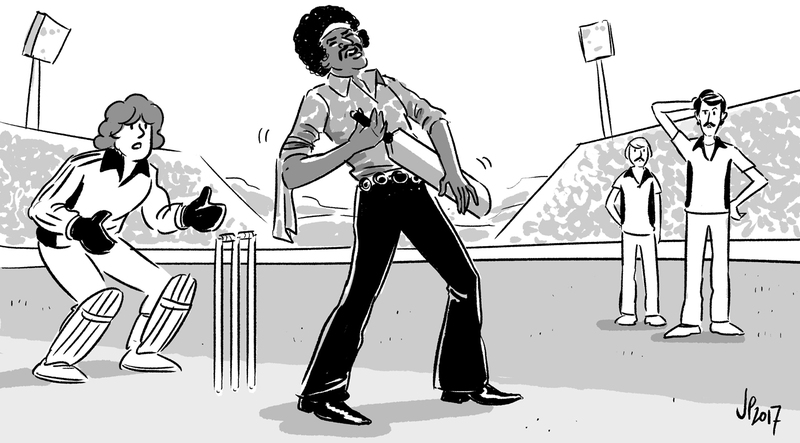 The first delivery is smacked back over Hadlee's head for six by Jimi Hendrix. The Reichsmarschall Hermann Göring is run out for a duck. 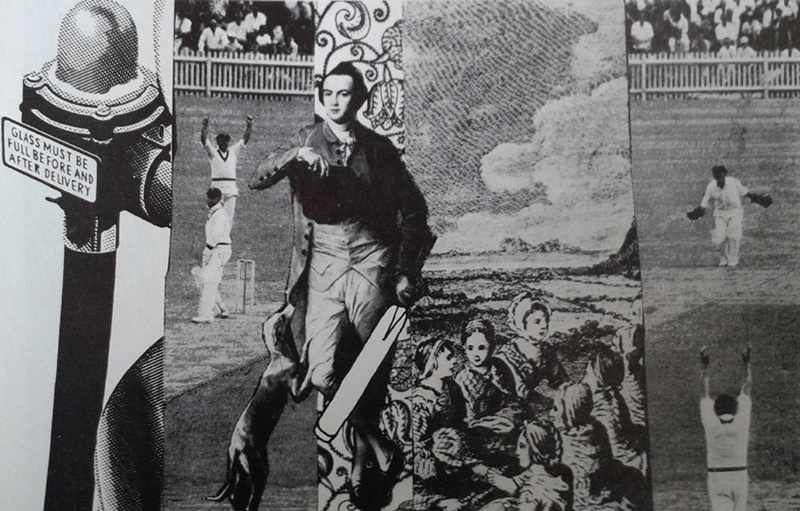 Oscar Wilde makes hay against Cairns and John Bracewell. Fantastical, Out of It is fun, or at least it's not banal, which is more than can be said for a good many ODIs. Attending cricket alone, one finds the mind tends to wander. When not focused on play, it will often mull over the affairs of one's life. Sometimes it is found traipsing into outlandish territory. Patrick Malone, the protagonist of the book, spent his youth "out of it" in a bohemian existence. His past ten years have been lived in the suburbs, married and raising a family, working full-time for a government department. These circumstances - "everything we've worked for and believed in", as his wife quails - are derailed by his day at the cricket, where play is as illusory as anywhere Patrick's tangled thoughts may go. New Zealand's opponents are an invitation "Out of It" XI. Among them are some crack batsmen. The Maori chief Te Rauparaha hits six sixes in an over. Vice-captain Bob Marley comes in at No. 8, cuffs a six and a four and is clean bowled by Martin Crowe. Janis Joplin anchors the tail with a steely 24 not out. James Joyce is not so enterprising, batting out two overs at the death for 0 not out. "A second innings in a one-day game is not a true one"
Google "psychedelic cricket" and you'll see a colourful insect. Fifty years ago, when the countercultural world liberated its mind, Test cricket perished into a dreary era of stonewallers. But while cricket may have resisted tripping, the game still abounds with the absurd, and Out of It is not its only surreal offering. Pramesh Ratnakar's Centurion: Father, Son and the Spirit of Cricket is similarly wide of scope. There is William Rushton's hysterical and silly W.G. Grace's Last Case or the War of the Worlds Part Two, where the Old Man conducts a farcical murder-mystery hunt in the aftermath of the Martian invasion. James Joyce's Finnegans Wake uses cricketers' names as a long, garbled list of sexual euphemisms. And while in these incredible realms, let us never forget Shane Warne's mural. Perhaps not surprisingly, such a curiosity as Out of It has enjoyed obscurity for the 30 years since its publication. If not strolling the avenues of literary awards and international critical acclaim along with the writers who produced Chinaman and Netherland, its author holds his own for style. O'Leary runs a bookshop in the railway station in Paekakariki, a coastal hamlet north of Wellington. Once, he took a train from Auckland to Dunedin, wearing a taxidermied hawk on his shoulder. Out of It has uncertain points. Some of the pastiche cricket monologues are weak, and Malone's navel explorations (presented as a dizzy stream of consciousness) are at times indulgent and dull. Nonetheless, it is a happy and a pleasingly compact read, and a work of striking originality. The cricket writing is a particular strong point and its fantastical elements don't give way to flimsy whimsy. At the very least, as a New Zealand artistic response to cricket, it trumps Tim Finn's "Runs in the Family" (despite that song's excellent rap breakdown). The cliché is that hearing others talk about their dreams is tedious. Following this argument, explication of Out of It risks doing the book a disservice, for the surreal is best experienced firsthand. The intrepid reader who seeks it out will be undoubtedly confused at points but elated by the process. '10 dollars please, sir.' Malone handed over the blue money and walked through the gates to freedom. Yes, that was the only word to describe the feeling he got from being behind fences in the midst of a multitude of people all assembled together to experience the magic of a game of cricket. He walked around until he found a programme which he purchased along with a hot pie and a can of Coca Cola, then he found a place to settle for the rest of the day.